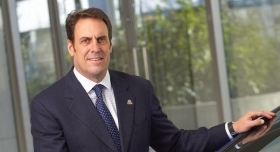 New GM North America boss Mark Reuss promises to shake up the status quo with a quick-fix approach. DETROIT -- After replacing Fritz Henderson as General Motors' CEO last week, Ed Whitacre seemed to know just where to turn first. Within three days he put the vitally important North American operations in the hands of a new top lieutenant, Mark Reuss. Insiders say elevating Reuss, the company's top engineer, is a sure sign the new boss wants big culture changes at GM -- fast. -- Listen to the critics who have the harshest things to say about GM, not just "give them the finger." -- Instill a when you find it, fix it approach to engineering problems. -- Make employees remember they're in the car business -- even if it means rounding them up with the corporate public address system to come down to the parking lot to look at new models. In an interview last week -- three days before his latest promotion -- Reuss, who became vice president of global engineering last summer, said he is spending loads of time listening to critics of GM vehicles and is adamant about the need to shake up the status quo. "Some of them are negative, but that's OK," he says of GM's detractors. "We just went through bankruptcy. Who are we kidding?" Although he acknowledges there's a lot to be done, he insists GM "can be a brand new place." And Reuss, who ran GM's Holden business in Australia for 18 months before returning to the United States last summer, isn't shy about jamming a finger in your back to get you moving. That came through recently when attendance was sparse at a GM employee ride-and-drive day. When workers stayed in their cubicles instead of sampling the products, a frustrated Reuss got on the building's intercom to urge employees to get outside and drive the cars. It freaked people out a bit because the system is typically only used for fire drills. It said a lot about Reuss. The message: GM engineering is moving in new directions. And it wouldn't be smart not to join in. For example, GM will make engineering changes quickly when problems are discovered, not wait until the next model year -- or even longer. "That is quite different that what we did" before, said Reuss. The Buick Regal that goes on sale in the United States in the second quarter of 2010 essentially is a rebadged version of the Opel Insignia, which has been on sale in Europe for more than a year. When an engineer recently called attention to a problem with the Insignia, old GM thinking would have held that it was too late to make a change for the Regal's U.S. launch. But Reuss ordered an immediate fix -- and said the launch won't be delayed. "This is a huge culture change," he said. "We are trying to get a culture of true continuous improvement every time we do something to the platform of the car for a local market." Also, Reuss is stepping back from what has become a mantra at GM: You can build any model -- assuming the platform is the same -- at any plant in the world. He's putting that sacred cow out to pasture, pushing engineers to demand regional modifications of vehicles to suit local driving conditions and consumer tastes. Those changes include reducing vehicle mass -- smaller brakes, lighter engine compartment components -- for vehicles that are developed on the same platform but will never be equipped with larger, heavier engines. The benefit: better fuel economy. "We want to be able to take a global platform and put the DNA of any one country or market into that car by the people who live in that market," he said. "There are brand differences and there are country and market differences." Reuss also moved the unit that inspects failed parts returned from dealer warranty work into the engineering building at the GM Tech Center. He wants engineers to go there daily to see failed parts and get moving quicker on fixes. The unit already existed, but was in a remote site and the process was slower. "We are looking at those parts very carefully," he said. "That is a much more focused effort than in the past." Reuss pays attention to the negative comments from Consumer Reports and Consumers Digest, longtime critics of GM products, and is taking time to talk to bloggers. He says it is better to engage them than to "give them the finger." "If I am going to get pissed off at everything these guys are saying, that will be a disaster," he said. "I want to know what they fundamentally think are our problems and how to fix it. That is huge information." All GM execs like to call themselves car guys, but Reuss is the real deal. Before he moved to Australia, Reuss could be seen in summer on metro Detroit's Woodward Avenue cruising strip in any number of high-performance cars. He has owned a restored classic British 1960s Austin-Healey 3000 roadster and a mint-condition version of Buick's last high-performance car, a 1987 GNX, one of around 550 built. His father approved the GNX program. His father was one of the first executives to be pushed out at GM during the 1992 coup that swept Jack Smith and Rick Wagoner into power. Reuss can't escape the fact that his father was once president, and he says it leads to some wrong assumptions. "Every single article you read in the United States that is written about me has this in it," Reuss said. The assumption, he said, is that "because I am his son, I am just like him, and it is going to be just like 1990." "So there is that inference that nothing has changed in this company: They have the same old guys doing the same old thing from the same old families, and so it is just another day in GM." He added: "I love my dad to death, but he does not come to work with me every day." Reuss says the family connection "probably has been a hindrance up until this point in my career, to be honest. I feel like I had to work a lot harder than some other people. People generally have not given me the benefit of the doubt." There's another bit of GM history Reuss has had to live down: He was in charge of engineering for the Pontiac Aztek, widely viewed as one of America's ugliest vehicles and a symbol of GM product incompetence earlier this decade. But Dave Cole, head of the Center for Automotive Research in Ann Arbor, Mich., says disdain aimed at the styling took attention away from some pretty decent engineering. "That was actually a well educated vehicle that fell apart because the styling didn't resonate," said Cole. "Fortunately, he did not get blamed for it. Those decisions were made way above him." But now, as the point man in North America, Reuss is the one calling the shots. The guy with all the "old GM" connections is under pressure to help create a new GM. Dealers are mixed: Bold stroke -- or a sign of instability?